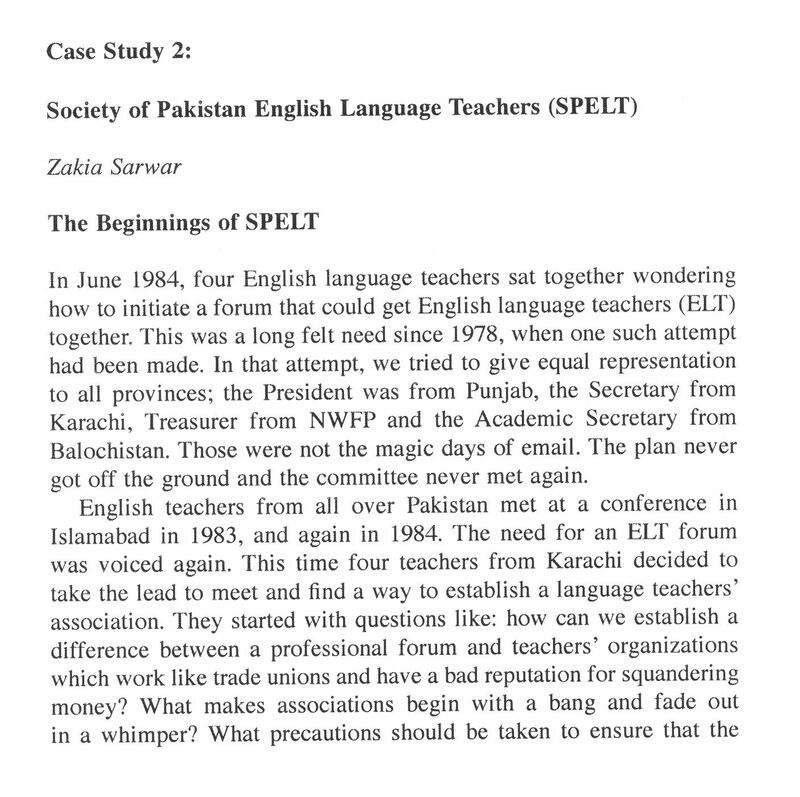 To provide a professional forum for English language teachers in Pakistan. 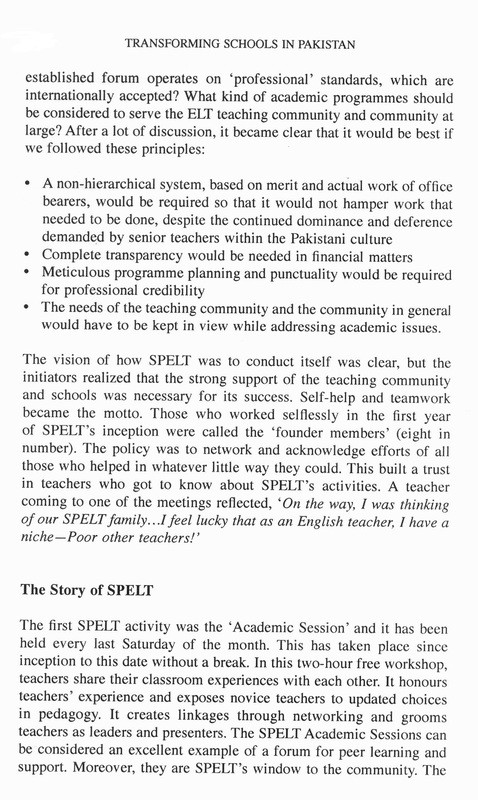 To serve as a centre for the dissemination of current ideas and developments in ELT. To provide in-service courses, seminars and workshops in ELT. To build up a resource centre, complete with up to-date ELT materials and audio-visual aids, with loan facilities for members. Academic sessions are held every month in which both members and non-members are free to participate. These sessions provide teachers, planners, administrators and researchers a platform for regular sharing of problems, ideas and experiences related to ELT, based on personal experiences. The Academic Co-ordinator is responsible for the sessions in each chapter.